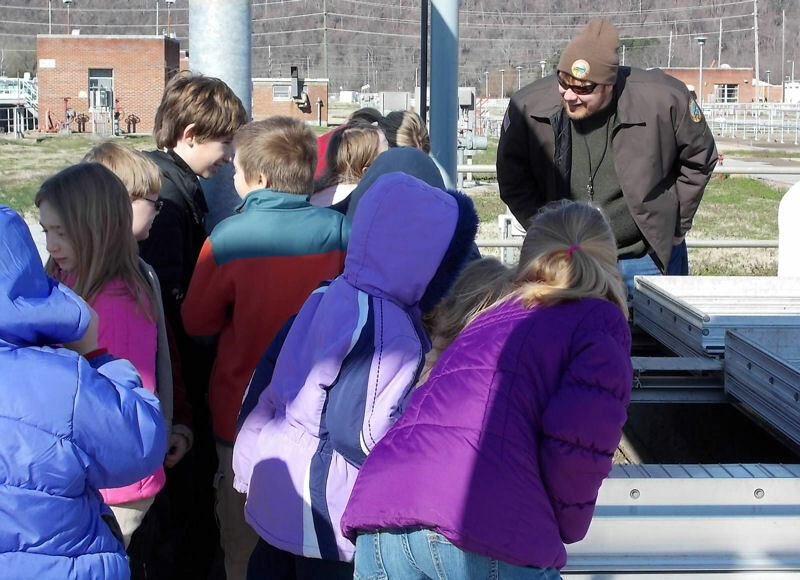 Moccasin Bend Wastewater Treatment Plant (Chattanooga, Tenn.) project coordinator Matthew Snyder educates students about wastewater treatement processes and microbes. Photo courtesy of the City of Chattanooga. In March, a group from Hickory Valley Christian School (Chattanooga, Tenn.) visited the Moccasin Bend Wastewater Treatment Plant in Chattanooga where sewer project coordinator Matthew Snyder gave a special presentation called “Mighty Microbes.” The presentation demonstrated the important role that microbes play in activated sludge and wastewater treatment. The students drew pictures and sent thank you notes, which the plant posted online along with photos and feedback from the event. 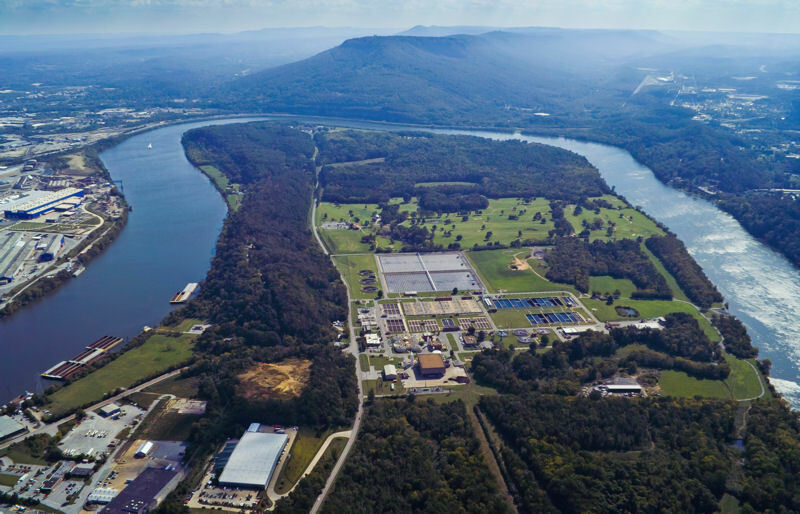 As a platinum-certified National Biosolids Partnership (Alexandria, Va.) facility, the Moccasin Bend Wastewater Treatment Plant offers educational program to increase knowledge of its biosolids program. Photo courtesy of the City of Chattanooga. 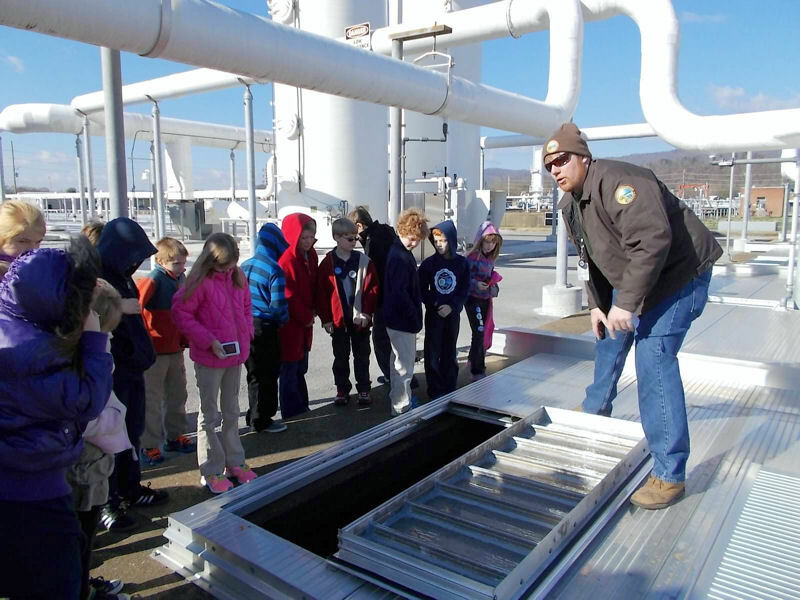 The tour and kids program is part of the facility’s community education and outreach efforts aimed at improving public perception of its biosolids program. As a platinum-certified organization of the National Biosolids Partnership (Alexandria, Va.), the facility has demonstrated a continued high level of commitment to excellence in biosolids management that goes beyond regulatory requirements. In addition to giving tours to students of all ages, facility staff members also visit schools to conduct interactive presentations and provide classroom resources about water and wastewater treatment. The facility’s website also offers extensive informational resources to the community. Snyder gave a special presentation called “Mighty Microbes” to Hickory Valley Christian School (Chattanooga, Tenn.) students. Photo courtesy of the City of Chattanooga. Snyder was first struck by the idea to start a kids program while attending non-educator training sessions offered through Hamilton County Schools in Tennessee. “I got inspired to do something that would spark interest and reach kids,” he said. The idea led Snyder to TRG & Associates, a San Diego-based public relations firm specializing in educational outreach materials that water agencies can use to engage school districts and students about water recycling and wastewater treatment. TRG produces the Team Mighty Microbe trading cards, which Snyder now uses as a key feature in his presentations. 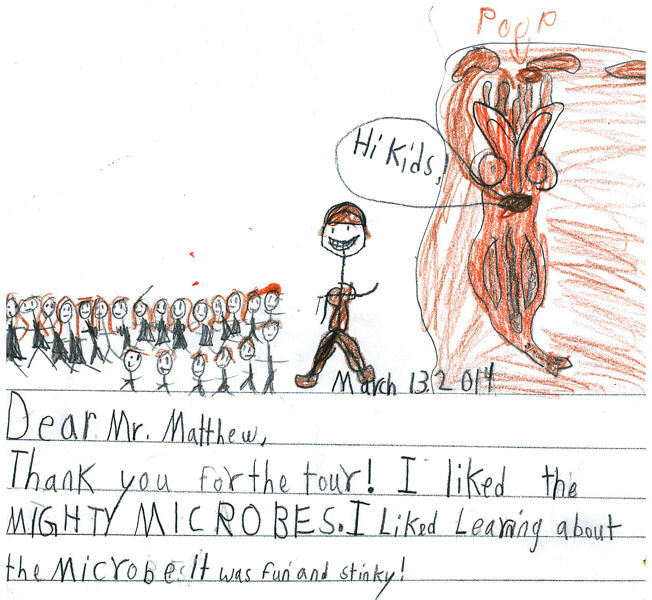 Hickory Valley Christian School students sent Snyder thank you notes for his presentation about microbes. Photo courtesy of the City of Chattanooga. Debbie Grimes, a third-grade teacher at Hickory Valley Christian School, said the program is a great, firsthand learning experience for kids and adults. “We learned how the community benefits from biosolids,” she said. The important takeaway of the interactive presentation — and the kids program as a whole — is that water quality is everybody’s responsibility and that we all need to act conscientiously to keep water clean for future generations, according to Snyder. “If we can teach kids about biosolids and responsible waste management, there is a good chance that they will pass along the message to their parents,” he said.